As most of my friends know, I am not one to repeat trips in the mountains if I can help it, but there are occasional exceptions. 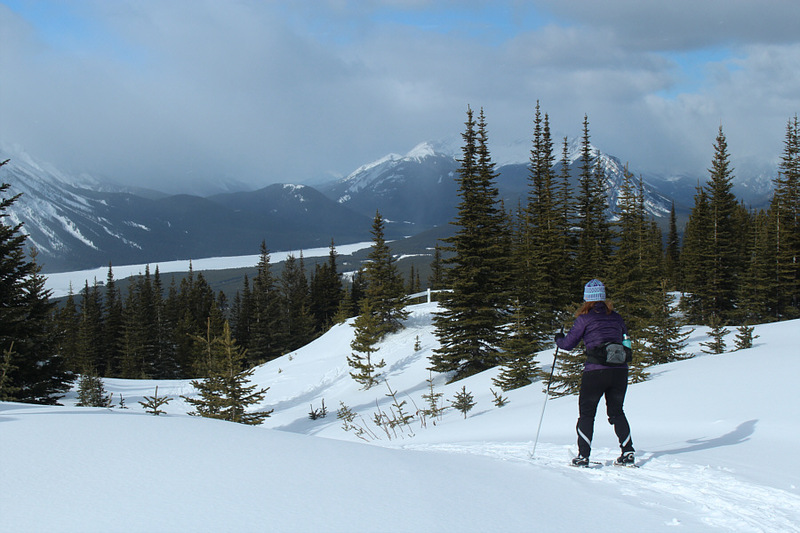 One such exception is the ski up Kananaskis Lookout in Alberta's Peter Lougheed Provincial Park. I have done this trip five times, and I have yet to grow tired of it. 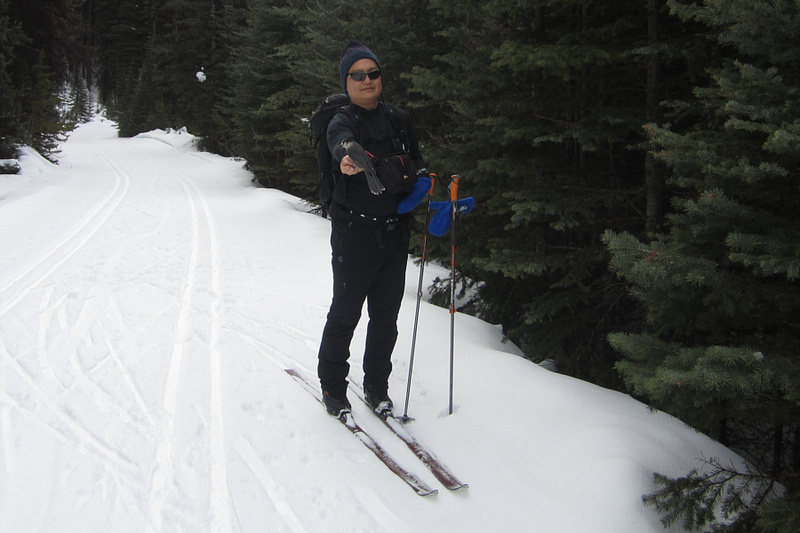 The last time I skied up Kananaskis Lookout was in 2010 after a six-year absence. Little did I know that it would be yet another six years before I would return for a sixth trip. 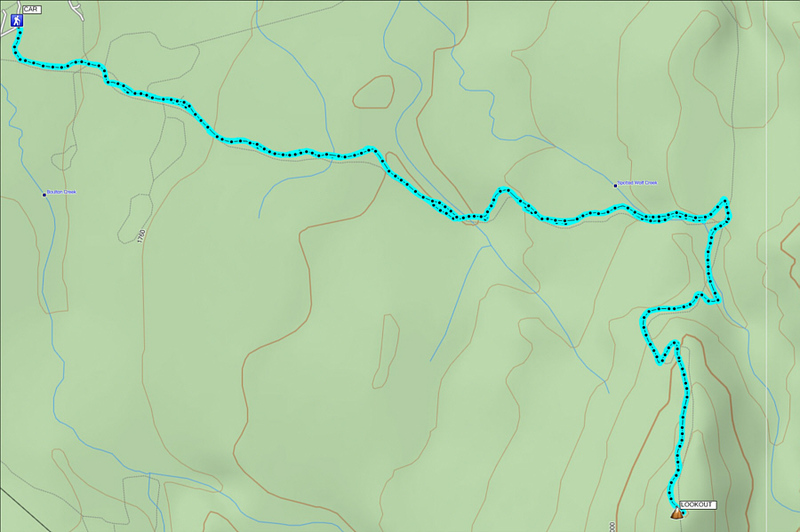 On 20 February 2016, I was accompanied by Shelley Skelton, and we took the shortest approach via Whiskey Jack, Tyrwhitt, and Lookout trails. 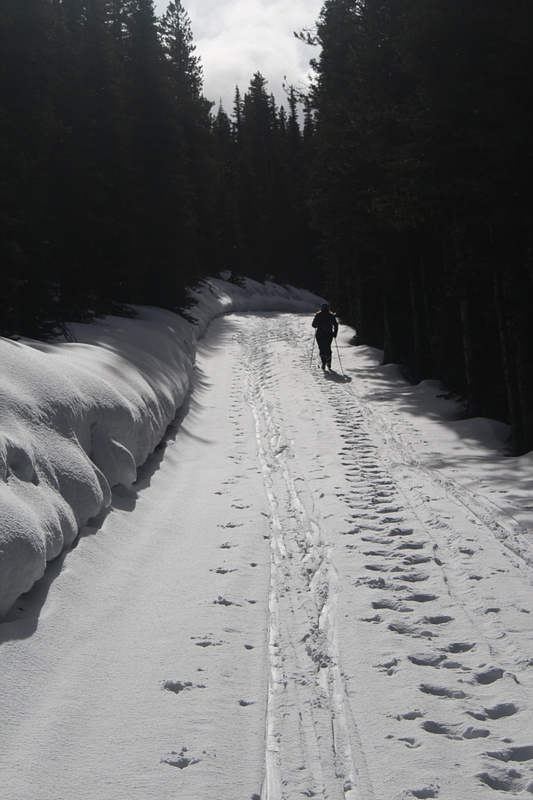 Despite warm temperatures, a fresh dump of snow helped to freshen up most of the trails, and we had no real difficulties with our waxes. We spent about 50 minutes at the top enjoying the warm sunshine and the antics of some very friendly gray jays before commencing the fast descent. Just before reaching the lookout building, Shelley had suggested that we should make this a perennial outing. 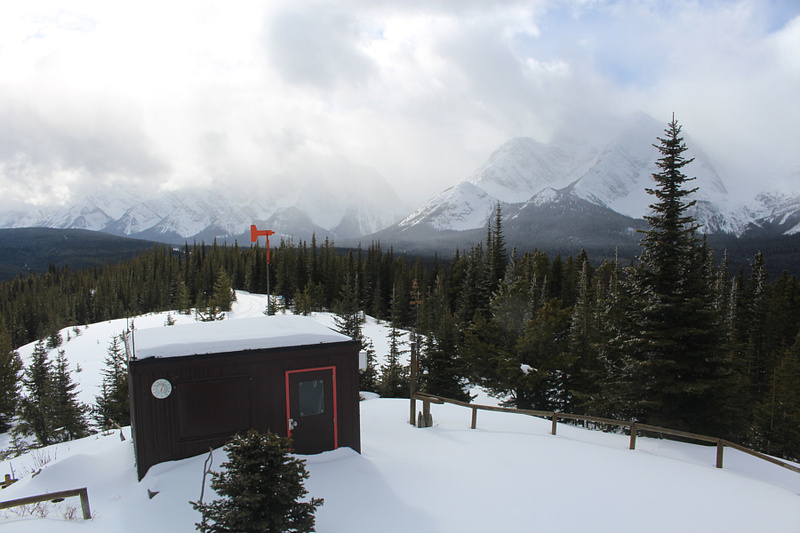 It would be hard to argue against her, and I am confident that my seventh ski up Kananaskis Lookout will not take another six years! 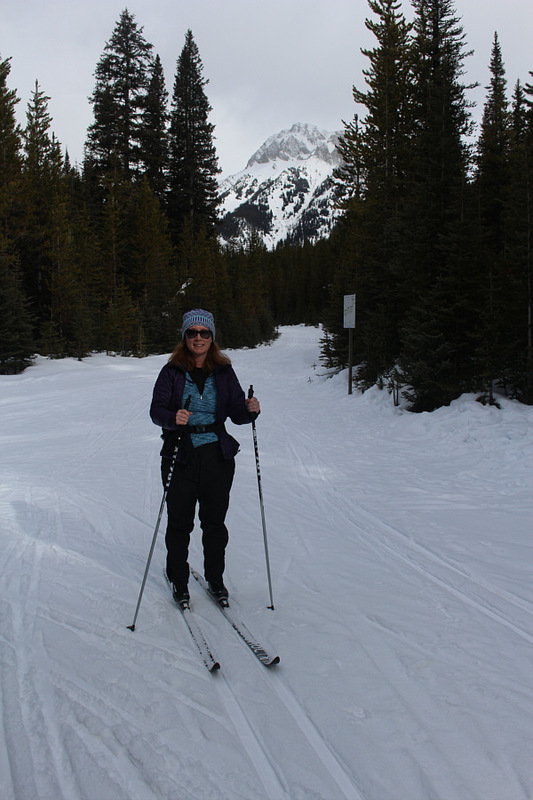 Shelley arrives at the junction of three ski trails--Pocaterra, Whiskey Jack, and Tyrwhitt. 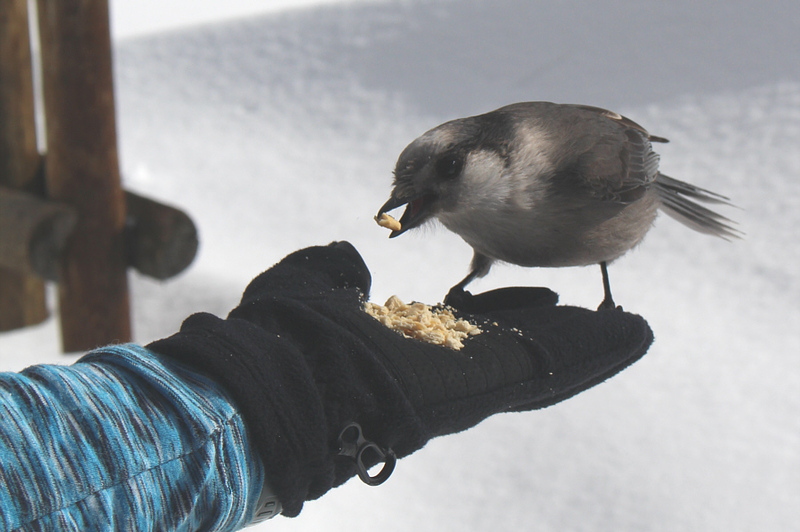 Sonny extends an empty hand to a fearless gray jay (whiskey jack). 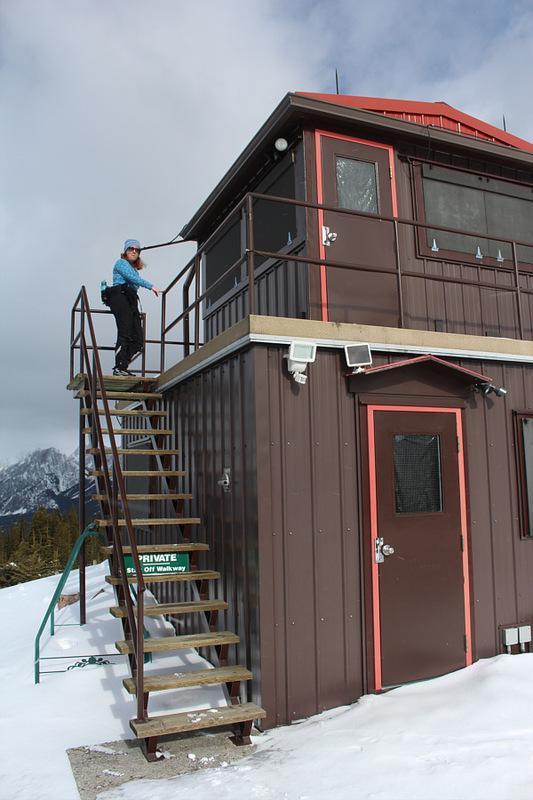 Shelley arrives at Kananaskis Lookout. Shelley climbs up the stairs to check out the upper deck of the lookout building. 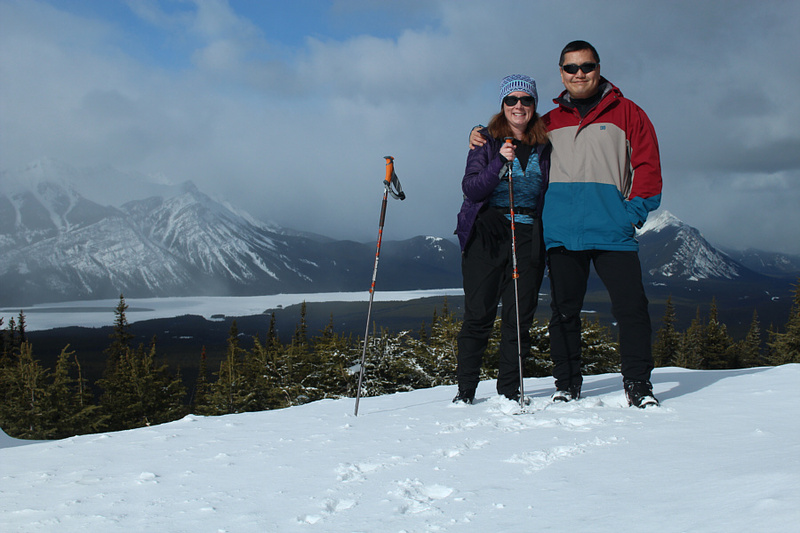 Shelley and Sonny pose together on top of Kananaskis Lookout (2127 metres). 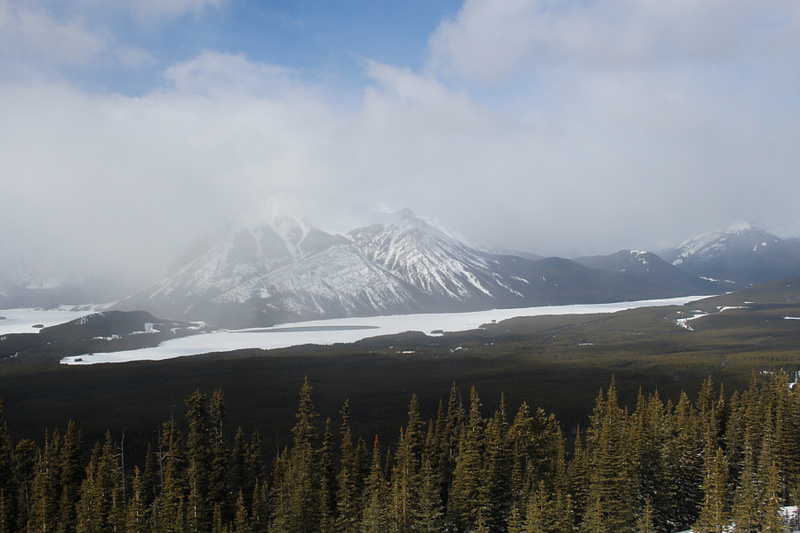 Mount Indefatigable is barely visible behind Lower Kananaskis Lake. 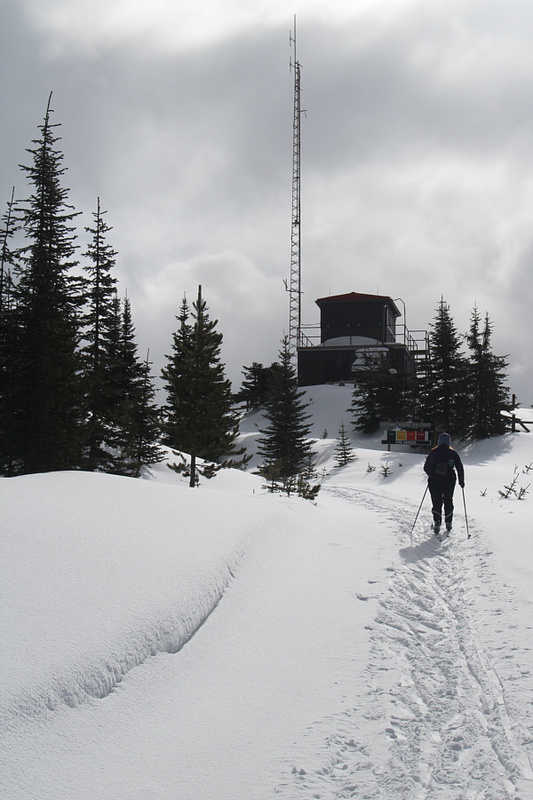 Beyond the hut is Elk Pass with Mount Fox shrouded in clouds to the right. 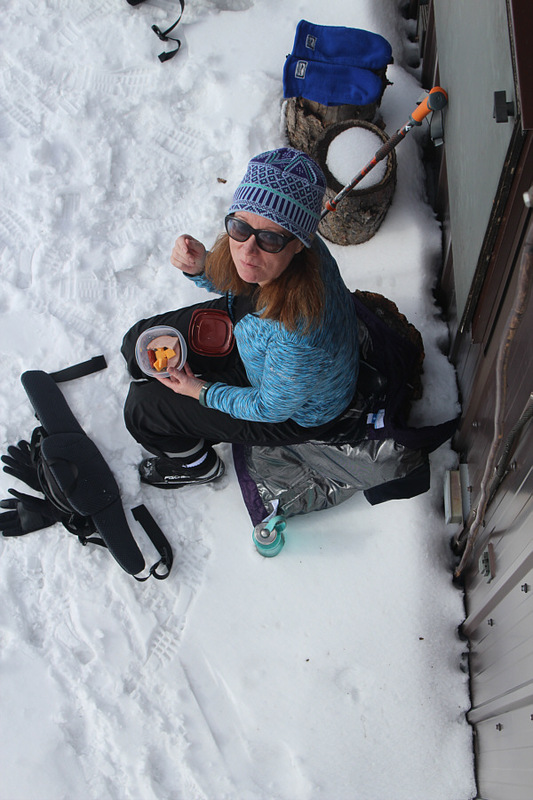 Shelley has found a nice, cozy spot to eat lunch. A gray jay looks for a handout from Shelley. 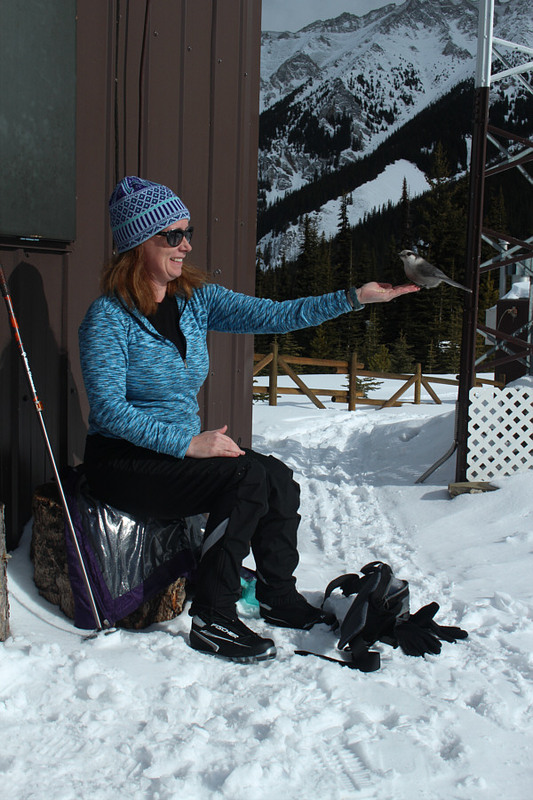 This gray jay has hit the jackpot! 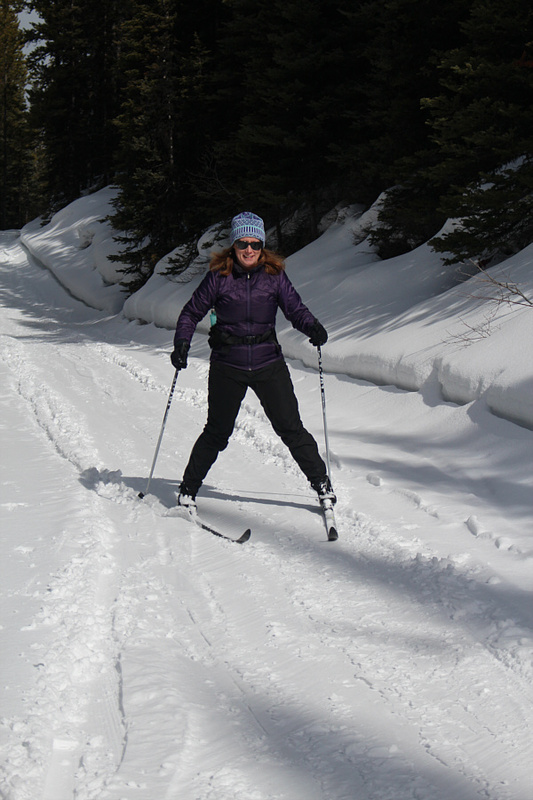 Shelley begins the fast ski down. Shelley snowplows down a hill. Sure enough, I would return here again on 25 March 2017 with Daniel Dufresne and Aga Sokolowska and then again on 27 January 2018 with Ali Shariat and Zosia Zgolak.